One of the youngest and most exciting emerging wine regions is located in the oldest wine-growing region in North America – Mexico. Accounting for about 90% of Mexican wine production, the 15-mile long Valle de Guadalupe wine country in Baja California lies just 90 miles south of San Diego. The Valle is sparsely populated and picturesque, dotted with rolling hillsides that average about 1,100 feet in elevation. 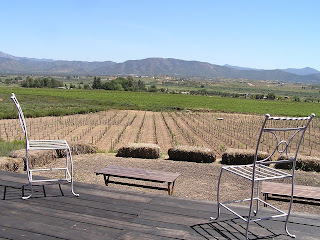 Lying just within the winegrowing latitudinal limit of 30°, the Valle’s hot and arid days are tempered by cool evenings and breezes off the Pacific and Ensenada, 15 miles to the west. 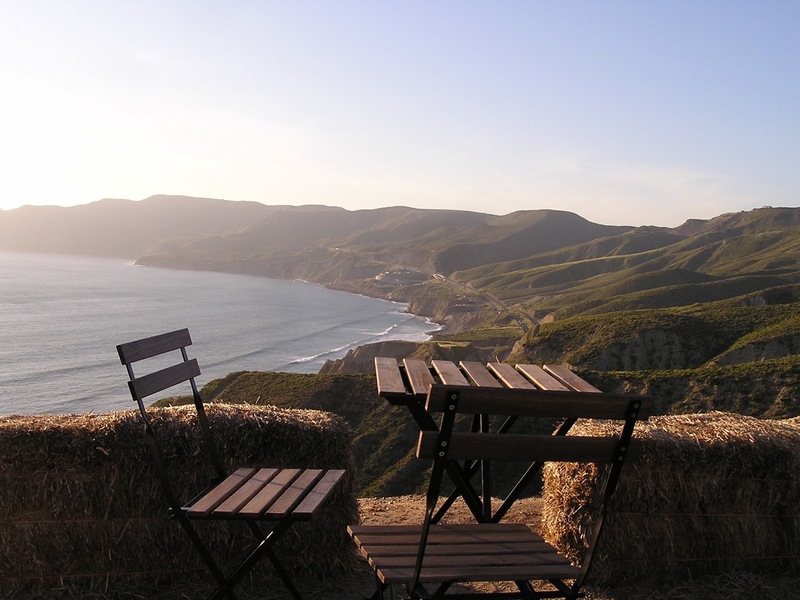 The view before sunset at Ensenada’s Cuatro Cuatros resort and outdoor restaurant. The history of Mexican wine dates back to the 1500s, after conqueror Hernán Cortés requested grapevines from Spain. 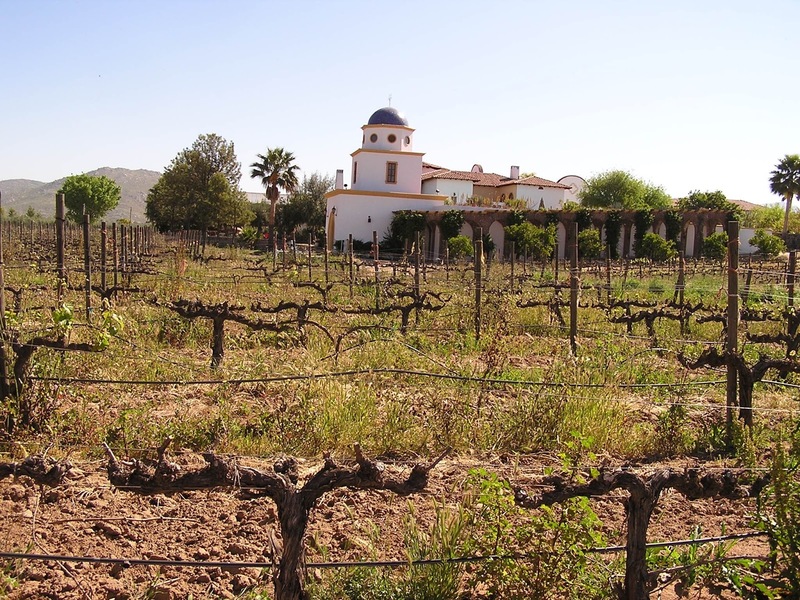 Baja winemaking began in earnest in 1707 with the Jesuits, although wineries were abandoned following the confiscation of Catholic Church property in 1857. Vines were replanted in the early 1900s when a refugee religious group of Russian Molokans who had split off from the Russian Orthodox Church settled in the Valle, dedicating their land purchases to grape growing, wheat and olives. 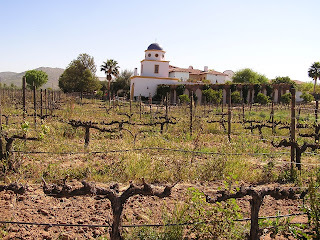 Following earthquakes, more land grabs and laws that hindered winemaking ventures, the modern Valle winemaking era began in 1972 with Casa Pedro Domecq, the region’s first commercial winery and currently Mexico’s second largest (after L. A. Cetto), producing nearly 200,000 cases per year. The 1980s brought greater winemaking successes with the founding of the artisanal winery Monte Xanic by food scientist Dr. Hans Backhoff in 1987 along with the hiring of Bordeaux-trained enologist Hugo D’Acosta as winemaker at Bodegas de Santo Tomás, Baja’s oldest continuously operating winery, founded in 1888. D’Acosta later went on to make wine at the venerable Adobe Guadalupe and founded his flagship winery Casa de Piedra in 1997. In 2004, D’Acosta founded the Estación de Oficios Porvenir, affectionately known as “La Escuelita” (little school), a cluster of buildings made with recycled material where he helps train small-scale winegrowers and their staff. Today, the Valle de Guadalupe offers wine adventurers a genuine and rustic experience along the Ruta de Vino, its wine route. 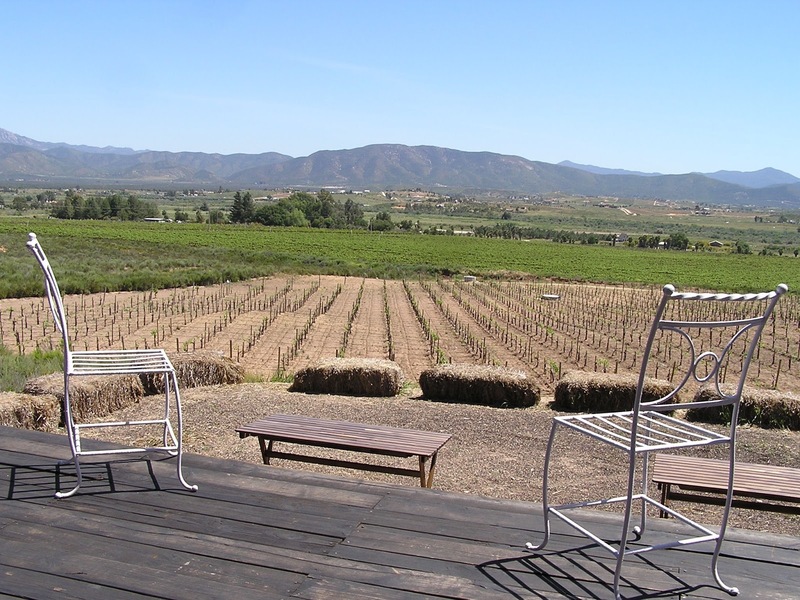 An estimated 60–100 wineries, most reachable by dusty, unpaved roads, line the 14-mile Ruta between Ensenada and Tecate. Other attractions include lodging accommodations ranging from the glamping chic of Cuatro Cuatros on the Ensenada coast to the stark steel and glass hillside eco-villas of Encuentro Guadalupe and the homey and peaceful six-room Adobe Guadalupe. Agronomists and winemakers continue to experiment with their techniques and blends, fueled by passionate optimism and a love for this beautiful countryside, its hardworking families and its amazing food. Known as Baja Mediterranean, the local cuisine is evolving in step with the quality leaps made by the region’s wines. Homegrown and resettled chefs such as Javier Plascencia (Finca Altozano), Drew Deckman (Deckman’s en el Mogor) and Diego Hernandez (Corazon de Tierra) have transformed and energized the local dining scene with inventive dishes such as octopus ceviche, mackerel tiradito, shrimp or ahi tuna tostadas and bountiful plates of farm fresh vegetables, grills and soulful pastas elevated by fennel, chorizo, and seafood. 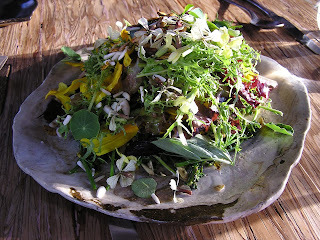 A garden-fresh salad plate from Diego Hernandez's Corazón de Tierra. Italian food reigns at Tre Galline, the scenic restaurant at the Villa Montefiori winery of Paolo Paoloni, a native of Italy’s Le Marche region. Third-generation chef Angelo Dal Bon of Lake Garda coaxes culinary magic from cheeses, charcuterie, breads, fish and pasta dishes and desserts that will awaken memories of dining al fresco in Italy. The vineyard view outside Tre Galline, the restaurant at Villa Montefiori. The Adobe Food Truck, planted adjacent to the Adobe Guadalupe bed and breakfast compound, serves tapas, salads, sandwiches and other fresh cuisine to be enjoyed on the go or while relaxing on the shaded patio near the inn’s gift shop, also a worthy stop. Chef Leda Gamboa’s casual yet sophisticated menu changes seasonally, its recent offerings including patatas bravas, sautéed mushrooms, Serrano ham croquettes, sausage with peppers and brandy, duck confit sandwiches and ajillo shrimp. If you’re unsure about driving around the area, consider hiring a guide. Use one of the reputable travel and touring companies such as Fernando Gaxiola’s Baja Wine + Food and Holly Darrah’s Wine n’ Dine Baja to get around the Valle easily, allowing you to taste all the way. Their American drivers know the roads and will introduce you to great locales in line with your preferences and budget. Fernando is a veritable food whisperer who will also steer you toward the best dishes on the menu – do your tummy a favor and obey.